On the First Sunday of Advent Bishop Buckley launched the new publication from Veritas – ’55 Ways to Connect with Families in your Parish’ by Sr Karen Kent OSU of our Diocesan Pastoral Development team. The launch was preceded by Advent prayer. 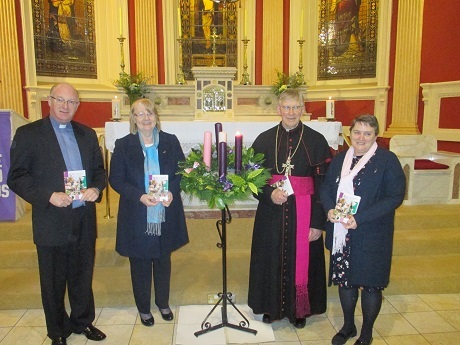 The launch was hosted by Canon Teddy O’Sullivan and members of Douglas Parish Assembly in their Church and Parish Centre.